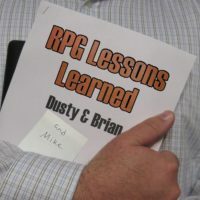 On this episode of RPGLL: GMs, Dusty wants to give you a Contingency plan for your campaign. On this episode of RPGLL, the guys provide some ideas on how to get your younger kids into RPGs! On this episode of RPGLL, when the guys report back to Shalelu about the Elementals… something seems… off. On this episode of RPGLL, Dusty runs through the My Little Pony game he ran for his family!